The Lady Bowen Trust provides financial assistance for Roma House clients to successfully transition to stable housing based on recommendations by individual case managers. Open 24 hours a day, seven days a week, Roma House offers unique intensive support and accommodation to people experiencing primary homelessness in the Brisbane area, who may have been excluded from existing services and have complex needs. Roma House offers respectful, non-judgemental support services in a positive, non-religious environment. Residents have the opportunity to stay for up to three months to regain their stability and health. Clients of Roma House each receive guidance, support and personalised assistance from dedicated professionals. Tying assistance to an individual case management plan is the key to ensuring genuine and long-term client outcomes. Meals, bathrooms, laundry facilities and recreation activities are provided, and residents will be encouraged to become involved in communal activities such as cooking, laundry and cleaning to enhance their daily living skills and build self-esteem. Roma House also provides access to specialist support services to ensure the complex and multiple needs of residents are addressed. Health care, counselling, life skills training and employment services are available on site, and referral to mainstream government and non-government programs is fully integrated through Roma House to ensure sustainable outcomes. Clients are supported through every stage of their transition to stable housing. Case managers work closely with other services to secure exit options, when clients are ready to move towards independent living. 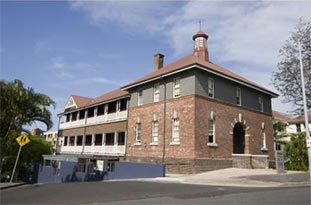 Daily operations at Roma House are managed by Mission Australia, funded through the Queensland Government’s Department of Housing and Public Works. The 10th Anniversary of the Lady Bowen Trust in November 2016 also coincided with the 10th Anniversary of the opening of Roma House, which is one of the beneficiaries of the Trust. The Trust extends its congratulations to Mission Australia on achieving this milestone.